While the Church has not yet officially ruled on the Medjugorje apparitions that have been allegedly taking place since 1981, it has recognized the fruits of increased faith, conversion, confession and vocations that flow from it. In February this year, Pope Francis appointed Henryk Hoser, retired Archbishop of Warsaw-Praga, as pastoral envoy to Medjugorje. Archbishop Hoser has told Poland’s KAI Catholic news agency that “from a pastoral point of view, there is a very positive result. 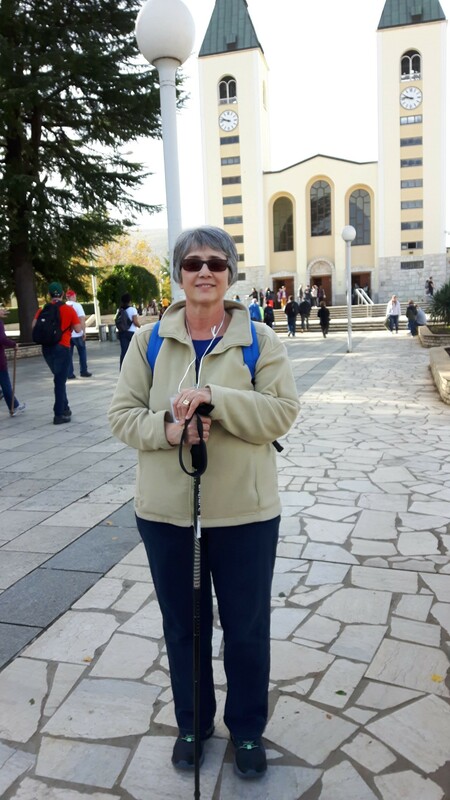 […] My mission was not to make a judgement on Medjugorje, but to evaluate whether the pastoral ministry was proper and consistent with the doctrine and teaching of the Church, and effective and well-organized. I concluded that this is the case.” He has also said that the biggest phenomenon in Medjugorge is confession. The commission established by Pope Benedict XVI to study the alleged apparitions of Mary at Medjugorje, reportedly voted overwhelmingly to recognise as supernatural the first seven appearances of Mary in 1981. As the alleged apparitions are ongoing, the Vatican cannot make a definitive ruling on them. With that in mind, I wish to share with you some of the blessings and fruits of my pilgrimage there this past fall. To avoid being cumbersome, I have not used the word “alleged” in the following article. In “the world”, penitents are a rare commodity. 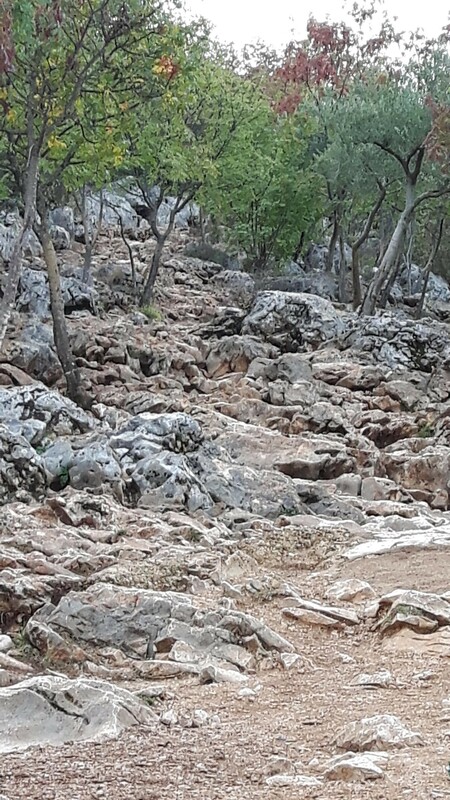 In Medjugorje, you can’t trip over a rock without falling on one. So, I felt right at home when I was recently a pilgrim there from October 29 to November 8. I had felt called to go there for over 30 years, ever since first hearing about it. If Our Lady is coming all the way from heaven, I thought, the least I can do is meet her partway! But life circumstances seemed never to allow it and I sometimes wondered if I would ever get there. The decades passed, and beyond all hopes and expectations, Our Lady continued to grace the world with her presence in that holy place. I continued to hope and pray that I might get there before the apparitions ceased altogether. This year brought a deluge of changes for me. I tell people that God did not just turn a page, He closed a book. As you may recall my husband passed away in May and my father in August. Amid those changes I moved to a new city to be near family and to finally be a “close-by grandma”. In addition, there were other changes and challenges as well. After my husband passed, since I really needed to be near family, I rented a place in my new city before my existing house was sold. The housing market was very low, but in my heart I knew I had to go and that I had to trust. I told Our Lady that if my house sold I would try to go to Medjugorje in the fall. Our Lady works fast! The day the movers came to get my belongings was the day I got an offer on my house that led to a sale. The timing was undeniably Our Lady’s. Once that hurdle was passed, going to Medjugorje finally seemed within reach. Our Lady even arranged that a group was leaving from my new city on October 29. Praise God! There was one complication—due to some foot and hip problems, I could barely walk on level ground in the weeks leading up to the trip. I wondered how I going to make it through the airports, let alone climb Apparition Hill or Cross Mountain. I told my friends and family, Our Lady has made the other arrangements so I’m going! If she wants me to climb Apparition Hill, she’s going to have to carry me. If not, my penance will be to stand at the bottom and pray while watching the others go up. Fiat! The day of the trip arrived and I set out in the wee hours for the airport. To my surprise, I made it through all the airports without assistance, albeit with persistent pain in my foot and hip. Fiat! After about 24 hours of travel time, our group of 19 Canadian pilgrims arrived at our “pansion” or inn, in Medjugorje. My first hint that Our Lady was not going to go easy on me was that my room was on the third floor, 36 stairs up. Fiat! The innkeeper himself grabbed my bags, hauled them up effortlessly, then disappeared. Thank you, Mama, for that grace! The rooms were simple, comfortable but not luxurious, perfect for a pilgrim-penitent. Mine had a great view of the chickens and sheep in the yard below, and at night I could see the lighted cross on the top of Cross Mountain. Praise God! Our first full day there, I was kind of hoping for a day of subdued activity, but at breakfast our pilgrimage leaders informed us that since the weather was going to be favorable, we were going to climb Apparition Hill that afternoon. Apparition Hill is, I learned, the “easier” of the two climbs, as Cross Mountain is three times higher. Fiat! The able-bodied group members would hike to the hill, but those of us who needed to conserve our strength and pseudo-agility would take a cab to the base of the hill. We would all meet and pray the joyful mysteries together on the way up at the stations provided, with reflections by Fr. Joseph Jacobson, who was our spiritual guide for the pilgrimage. Coming down would be at each our own speed, and hopefully in a controlled manner as the climb was very rocky. I was shocked at the terrain when I first laid eyes on it! It was as if God had dumped from on high a huge load of boulders with just enough mud to hold them in place. Many of the rocks were sharp, and flat bits were scarce. The climb, I found, was a metaphor for the struggles of life—you can never plan past the next step, and if you think about how hard the journey is going to be, you will give up before you even begin. Sometimes, even what you thought was the right step turns out all wrong. Just. Keep. Going. After all, how did Christ make it up the hill to Calvary? One step at a time. Our Lady chose to appear in this place, first of all because of the steadfast faith of the villagers, which had held firm through centuries of persecution. As for the terrain, besides the penitential component, Our Lady has told the visionaries she wants pilgrims to see the stones as representing the stony hearts of those who need our prayers and sacrifices. Our Lady has said that the veil between heaven and earth is very thin at Medjugorje and I believe it! With my physical limitations in mind, you will understand when I say that it was no small thing to find myself, an hour and a half after starting, at the goal of our climb, the statue of Mary which marks the spot where she first appeared to the visionaries in 1981. The Queen of Peace, rewarded my efforts with gifts of hope, comfort, and peace. I was overcome with emotion in that holy place, and still am when I think of it. Our Lady carried me up for sure! It was so humbling to be up there, and I am so grateful! After that beautiful mountain-top experience I, of course, still had to get down, and the down is even harder than the up! My previously underused muscles were already protesting the uphill climb. Now, a further hour and half down? I picked up my trusty walking stick and started out. Our Lady had further pity on me and sent two angels to help me. A couple of gentlemen from our pilgrim group walked with me to keep me safe, scouting the best path, and guiding each step, extending their hands when I needed it. Truly they were the embodiment of our guardian angels, who also are there as scouts, guides, and a hand to hold, whether we feel it or not. Despite their efforts, near the end, one of my feet got wedged in a rock with the other foot wedged behind it. I was going down! Because of my walking stick it was a slow fall sideways. I landed—where else—on a rock, next to a thorny bush, which also left its mark. Without my angels I would have had a very hard time getting out of that predicament. I must have landed on my real angel because aside from a 7-inch bruise on my thigh, and a small thorn prick, I suffered no real injuries. When I mentioned my bruise to one of the locals she said, “In Medjugorje, we call those ‘kisses from heaven’.” Upon reflection I can see that Our Lady gave me a very small taste of Calvary—one fall and a small thorn. Yes, it was indeed a kiss from heaven! Fiat! Thank you, Mama! There is much to ponder in such a climb. I’m sure everyone comes back with their own message or messages. I felt Our Lady was telling me (and all of us) to persevere in our prayers and sacrifices. The evil one wants to discourage us, but our Mother wants us to know that our prayers and sacrifices are bearing abundant fruit. She is always with us as our Mother, strengthening all her dear children for the mission entrusted to us—which often feels like a gruelling climb we are not in shape for. With her at our side, we have nothing to fear. Then what is left for us but to say, Fiat! as we put one foot in front of the other until she calls us home. Me at the top of Apparition Hill! In the army, everyone has a duty to fulfill. Some are strategists, some are foot-soldiers, some are mechanics, some are medics, some are support staff. All are important. All are needed. This is the time to discern carefully where we are called to serve in the spiritual battle that is escalating all around us. We don’t have to do it all, but we are, each of us, made for these times and entrusted with a unique mission and the grace needed to fulfill it. Certainly in this battle against “principalities and powers” penance is needed more than ever. Our Lady has told us so herself in every modern apparition, how urgently it is needed. As a reader of this blog, it is safe to assume that you too feel called in some way to answer Our Lady’s call to do spiritual battle through penance. Grace and peace to you as I begin this writing on the Solemnity of Annunciation, the feast day of Our Lady’s Fiat! Here are a few of my thoughts on the sudden decision to suspend my Pelianito blog. Under obedience to my spiritual director, a holy priest who has known me for 10 years and is very familiar with my writings, and out of respect for what was communicated to me about what the Congregation for the Doctrine of the Faith said about my Pelianito blog, I did what I felt was necessary and suspended my blog until such time as, under obedience, I may be able to bring it back online. I am at peace. My spiritual director has told me before, “Don’t make it happen. Let it happen.” Even if the evil one is behind this, God allowed it, for His glorious triumph. If God wants to defend me he will, and I will wait for that. God may yet decide to bring my blog back online. Whatever happens I must remain docile to the Spirit and detached from the results. So—fiat! Back in 1997, when I first began hearing the Lord speaking to my heart, I felt him give me the name Pelianito, which he revealed to me means “sent”. Since 2003, my Pelianito Journal Blog, has been online in one form or another. It started with the messages being “sent” as a weekly mailout and grew from there. For me it was never about how many visitors or views or subscribers there were, but about fulfilling the will of God for my life. For the first few years it was mostly people who knew me personally reading the messages. Eventually, more people found the blog, thanks in no small part to a mention by Mark Mallett, whom I have come to know as a dear spiritual brother and friend. Being a Catholic blogger—especially in the prophetic landscape—has unique challenges. I am glad he was there. I have also been greatly edified by those who visited or commented on my blog. Many times, when a message would not really speak to anything I was going through, someone would comment that it was exactly what they needed to hear. These were powerful confirmations that it was God’s work, not mine. Others wrote to encourage me at just the right time or to discuss spiritual matters. We were blessed in each other, thanks be to God! But…things change. They always do. I see the hand of God in this change. I find the Holy Spirit often teaches in themes, and the theme of silence has been coming to me from various sources recently, always a reason to take notice. In response, a few months ago, I wrote an article for my Joy of Penance blog, titled Silence, which I invite you to read if you wish. Just recently, someone brought to my attention the book, “The Power of Silence” by African Cardinal Sarah. (Click here to read a review.) And you may remember, a few of my posts over the years have spoken of “a silence and a stillness” coming to the church. Jesus in the tomb. I keep thinking of Mark’s blog post titled, The Age of Ministries is Ending. Certainly, signs abound these days, such as the recent sudden deaths of Fr. Robert Young and Anthony Mullen, strong voices, men God was using in a powerful way to spread his most urgent messages for our time. And whatever you may think about Charlie Johnston, his love of the Church cannot be doubted. His voice too has been largely silenced. Now this event with my blog has been just as sudden. Could it be that we are being prepared for that deeper silence of Christ in the tomb? Let us take heed and ponder. If we learn our lessons well, we will know how to respond when the time comes. Listen to the voices that are left while you can. I feel as if I have been prepared for this moment. There was a strong theme of surrender in my writings, and you may remember that I posted Fr. Dolindo Ruotolo’s Novena of Surrender to the Will of God. I have prayed the novena numerous times over the years, and for some months now, each morning and evening I repeat 10 times: “Jesus I surrender myself to you, take care of everything. I love you and I thank you with your own Divine Will.” For each repetition, in place of the word “love” I use “adore”, “bless”, “console”, “glorify & honor”, “kiss”, “praise”, “supplicate”, “trust”, or “worship”. I put them in alphabetical order so they are easier to remember and even know which finger belongs to which one. I have often said, “Pray it till you mean it!” I took my own advice on this one and I’m glad I did! A few years ago, during the night I felt the Lord’s presence and saw an image. It was like multi-colored pieces shifting and overlapping. The image seemed to have no order to it. It was very chaotic and hard to figure out. These words came to me: “Things will happen in rapid succession.” In the image it seemed like things were happening all over the place that were seemingly unconnected, but really, they were all connected in the big picture. Still, I could not make sense of it. Kind of like a living, moving, “crazy quilt”. Even in the dream, I had the feeling that even though things appeared chaotic to me, even though I could not make sense of them, that God certainly could, that indeed, God’s plan always looks like this to us. We just don’t get it. The good news is that we don’t have to understand. We just have to do what God puts in front of us every day, and trust in him for everything. A good guess would be that Jesus is taking away all that we cling to so that we can cling only to him, knowing that when we have him we have everything. Like a child’s weaning, at first there is a lot of crying, then we realize that what is happening is right and good and necessary for our spiritual growth. Then let us cling to Jesus with both hands and trust that all shall indeed be well. The world is in great need of conduits of the Divine Power, which can only come through prayer, meditation, Scripture, sacraments, and not least, obedience to proper authority. Think of the contemplatives who, as I have said before, are the ones keeping this planet from spinning out of orbit! If this silence is indeed a sign of the times, we can be comforted in knowing that God is on the march and is set to put an end to this wicked age. Whatever that entails, let us give God our clear and firm FIAT! Jesus, I surrender myself to you. Take care of everything. I love you and I thank you with your own Divine Will. Fiat! Antiphon 1 – Surrender to God, and he will do everything for you. Alleluia. Antiphon 2 – Turn away from evil and learn to do God’s will’ the Lord will strengthen you if you obey him. Alleluia. Antiphon 3 – Wait for the Lord to lead, then follow in his way. Alleluia. This dramatic Scripture passage recounts the beginning of God’s rebuttal to Job’s complaint at feeling abandoned by God in spite of his righteous life. God’s stinging rebuttal continues from here as he asks Job where he was in all the glorious acts of creation. In the end Job is properly humble and contrite as we can see by his response: “See, I am of small account; what shall I answer you? I lay my hand on my mouth. I have spoken once, and I will not answer, twice, but will proceed no further.” Job’s reply is silence, and his silence is more eloquent than all he has said before. John 12:24 Very truly, I tell you, unless a grain of wheat falls into the earth and dies, it remains just a single grain; but if it dies, it bears much fruit. The power of forgiveness. We hear about it, we know about it, and most of us have experienced it. Those of us who take advantage of frequent confession—especially if we are prodigal children returned to the embrace of our Father—know very well the power of forgiveness and what it has meant in our own lives. But have we reciprocated that gratuitous gift to others? This is something we must examine ourselves thoroughly on, for it is one of the criteria we will be judged on and it is the true sign of a humble, contrite, and grateful heart. John 1:1, 14 In the beginning was the Word, and the Word was with God, and the Word was God…And the Word became flesh and lived among us, and we have seen his glory, the glory as of a father’s only son, full of grace and truth. I have been pondering lately the importance of words. Our culture constantly bombards us with words—written, spoken, tweeted or texted, there is no escape. As with all things, it seems that an excess of anything cheapens the whole. On further examination there is a whiff of the diabolical in this. St. John’s Gospel begins with the words: “In the beginning was the Word, and the Word was with God and the Word was God.” No wonder the enemy wants to cheapen the word—he is trying to undermine the Word made flesh by drowning the Word in a trash heap of words. Philippians 2:9-11 God greatly exalted him and bestowed on him the name that is above every name, that at the name of Jesus every knee should bend, of those in heaven and on earth and under the earth, and every tongue confess that Jesus Christ is Lord, to the glory of God the Father. In her Fatima apparitions, Our Lady told the little visionaries: “In the end, my Immaculate Heart will triumph.” This was to follow a great chastisement in the world, including wars, sufferings, martyrdom. Our Lady also asked for the consecration of Russia to her Immaculate Heart. There is an ongoing debate as to whether or not the requested consecration of Russia was done to Our Lady’s satisfaction. I personally try not to get drawn into such debates, feeling the issue is best left with the Holy Father and the Bishops. For my part, I have to examine whether or not I have done my part in fulfilling Our Lady’s Fatima requests.